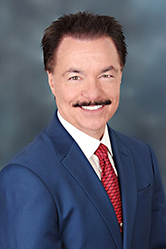 A known community leader, team builder, and most of all family man, Mike Dunfee has been selling, leasing and managing Long Beach Real Estate since 1996. Mike takes pride in listening to his client’s needs and considers it among his most essential skills. He is uniquely suited to guide and advise his clients with the wisdom and knowledge gained from decades in the industry successfully closing over 1,000 real estate transactions. Mike credits much of his success to his commitment to continual learning and development. 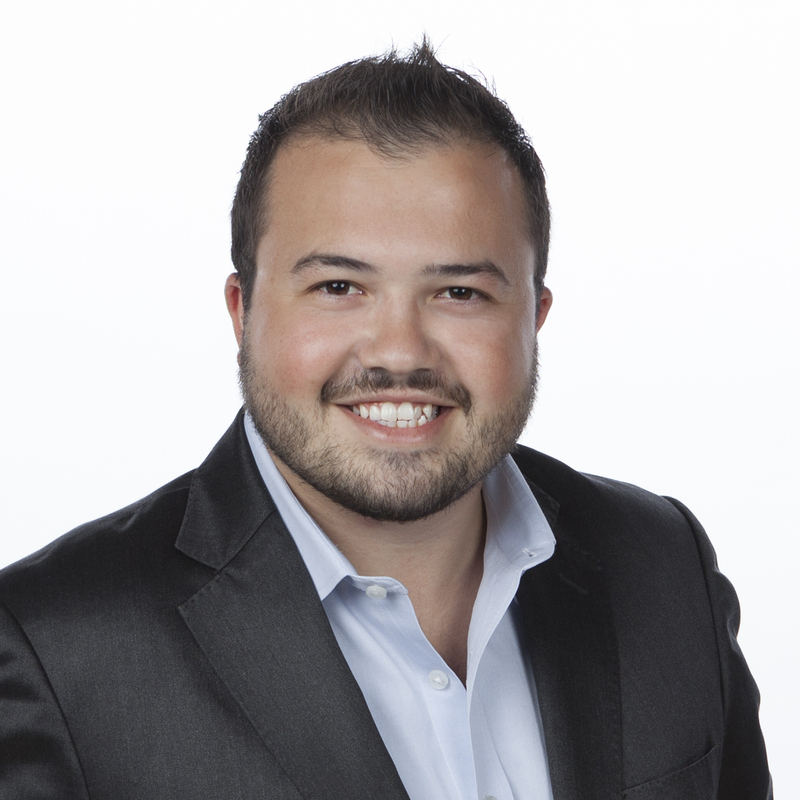 In addition to his Degree in Finance from Cal State Long Beach, Mike has acquired multiple industry designations to support his California Brokers License including, the Graduate REALTOR® Institute (GRI) and the esteemed Certified Residential Specialist (CRS) designation. Mike is an enthusiastic member of the National Association of Residential Property Managers (NARPM) and the Apartment Association, California Southern Cities taking virtually every property management course they have to offer. Mike Dunfee holds the city of Long Beach, especially Downtown, near and dear to his heart. This city is not just the place he’s decided to operate his business, but where he’s chosen to raise his family. Because of this, being a devoted member of his community has always come naturally for him. Mike serves on the Board of Directors for the West Ocean HOA and the Board of Directors for the Aqua Master HOA. He is a past President of the Downtown Long Beach Residents Council (DRC) Board of Directors, as well as a Founder and Past President of the Ocean Boulevard Community Residents Association (ORCA). Mike has served on the DLBA Capital Improvement Task Force and was a member of the Long Beach Leadership graduating class of 2012. Mike Dunfee’s most significant professional accomplishment is putting together one of the best real estate teams in Long Beach. His team has seen continued success because they genuinely care about each other and most of all the clients who make it all possible. When Mike is not hard at work for his clients, he can often be found running on the bike path, swimming at the Belmont Pool, playing guitar, or out to dinner having wine with his wife Shayla and their friends. One of the highlights of Mike’s life is spending time with his young daughter Berkeley who he adores. A certified Six-Sigma Green Belt, 30 years of experience developing and implementing customer service best practices, leading and managing global Business Services organizations for two Fortune 500 corporations. His breadth of skills and experience building and fostering client relationships further strengthens our company's ability to consistently deliver on its relentless commitment to provide our clients ‘5-Star’ services. An avid sports fan who grew up in the South Bay as a player and a coach, religiously following the 'Showtime' Lakers and Dodger Blue, he returned to his family roots exactly where his grand-cousin 'Cal' Rodgers Perry (grand-nephew of 1812 war hero Naval Commander Oliver Hazard Perry) landed his aircraft here in Long Beach in 1912, and heralded “The 1st man in U.S. history to fly an airplane from coast to coast”. He’s back to his family roots, and glad he is here to stay! Flori brings 16 years of experience as a Realtor Associate to the Mike Dunfee Group as a Portfolio Manager, and a Real Estate Sales Specialist. Flori brings a blend of experiences to the team as a Top Producer and Sales Productivity Coach of over 40 agents, helping them through over 100 transactions. She has personally closed over 275 real estate transactions, and received the Leading Edge Society Award 7 times. 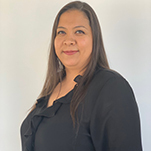 Gabriela finds joy in assisting multi-cultural clients throughout the diverse and vibrant city of Long Beach where she has called home for past 27 years. 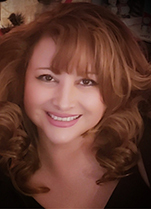 When Gabriela is not busy making her clients dreams come true, she spends her time enjoying art, international cooking and especially spending time with her 14-year-old son. Gabriela also enjoys supporting wolf conservation foundations in California. Originally from Costa Rica, Gabriela Vargas came to the U.S. 27 years ago where she studied psychology at West Los Angeles College. 1998 marks the inception of Gabriela’s remarkable real estate career. In her first role as the executive assistant to the broker of a small local brokerage she learned valuable skills in management, negotiation, and administration. She later went on to oversee the administration for three offices for a large regional brokerage for 10 years as well as the Marketing Center Administrator for a national real estate franchise. Gabriela is excited to be a part of this talented group of individuals and is a predominant piece of the puzzle that has continued the success to the Mike Dunfee Group. Alex has been a part of the Mike Dunfee Group since 2004. In addition to being the “go-to person” for office administration, billing and employee issues, she has a background in advertising, property management, and direct-mail marketing. Alex is well versed in all aspects of real estate and coordinates accounting, billing, payment processing, corporate reporting, transactions, disbursements, and reimbursements. Alex is bilingual and a proud mother of five boys, Alex is innovative, resourceful and knows how to get a job done! Her expertise in sales and property management systems makes her a vital member of our team. Jeanette has been part of the Mike Dunfee Group since 2011. When she first joined our team, her responsibilities included basic office duties. Through hard work and dedication, Jeanette has learned many aspects of the property management business. Her extensive knowledge of AppFolio, our property management software, Jeanette has become invaluable in finding information about the hundreds of properties we handle. She is steadfast and constant in her ability to produce appropriate forms and information promptly and efficiently. When she is not at the office solving problems she is spending time with, Mathew, her four year old son. 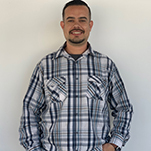 As a Native Long Beach resident, Cristian has been in the construction business for over 6 years with expertise in restoration and an apprentice cabinet maker. 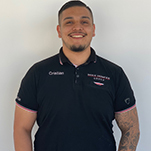 Cristian specializes in helping restoring properties back into move-in condition once a resident moves. His expertise covers everything from light plumbing, drywall, paint, and electrical to general handyman services. In Cristian’s spare time he loves to travel to his homeland of Durango, Mexico, widely known as "Catedral Basílica de Durango", it is situated in the heart of the city of Durango and is considered the most important architectural representation of the state, and one of the most beautiful buildings in northern Mexico. In Cristian’s spare time he loves sports and is an avid Soccer player. Nikko brings a unique and blended experience to the Mike Dunfee Group. His expertise and professionalism in marketing and operations have been developed over the last 12 years in roles ranging from management of a client support department for a technology start-up to a financial analyst for a boutique mergers & acquisitions firm, as well real estate sales and office management. The Mike Dunfee Group and our clientele benefit significantly from Nikko's expertise in digital marketing that ranges from, social media, email marketing, Google AdWords and Facebook Advertising, and content marketing. His understanding and knowledge of the real estate industry ensure our message and targeting are always clear, precise and relevant. Caitlin is a native of Los Angeles and moved to Long Beach in 2008. In 2012 she graduated from California State University Long Beach with a BFA in Illustration. Over the years Caitlin has come to love Long Beach for its community, its walkability, its support of artists and small business owners, and its laid back beach town vibe. Most days you'll find Caitlin walking within her neighborhood of Belmont Shore or biking along the beach path. Caitlin is proud to be working for Engel & Völkers because of their shared values. She believes in helping others succeed and working with passion and integrity. She credits her work ethic to the example her parents set: no job is too small not to be done well. 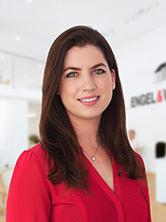 Caitlin strives each day to make sure Engel & Völkers advisors have what they need to succeed and flourish in the real estate industry. She loves the chance to set strategies, accomplish goals, and present a beautiful product. Skyler has been a part of the Mike Dunfee Group since 2018. 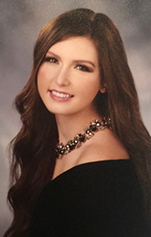 She is currently studying Human Resources Management at California State University Long Beach and is on track to graduate in 2021. On a typical day at the office, you will find Skyler assisting with social media outreach, communicating with online marketing partners, or photographing different properties. 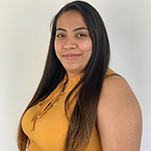 Working for the Mike Dunfee Group has helped Skyler gain valuable work experience while allowing her to explore everything that Long Beach and the surrounding areas have to offer. One of the main reasons that Skyler loves her job is because when you work for the Mike Dunfee Group, your coworkers feel more like family. When she is not working or attending classes, you will find Skyler hanging out with her friends, making short films, or trying new restaurants in search of the perfect macaroni and cheese. Find a Rental We offer quality rentals in Long Beach. Start your search today for your perfect place to call home. Search for Sale Looking to buy or sell? We can help you through all your real estate needs. Resident Services It’s great to be a Mike Dunfee Group tenant. Find resources to pay your rent and submit maintenance requests.